A newlywed woman is transformed into a vampiric beast in Erik Blomberg’s supernatural folk tale. “A lot goes on here that southerners don’t understand,” a local informs an outsider who fancies that the white reindeer currently plaguing the village’s male populace can be stopped simply with a modern rifle. 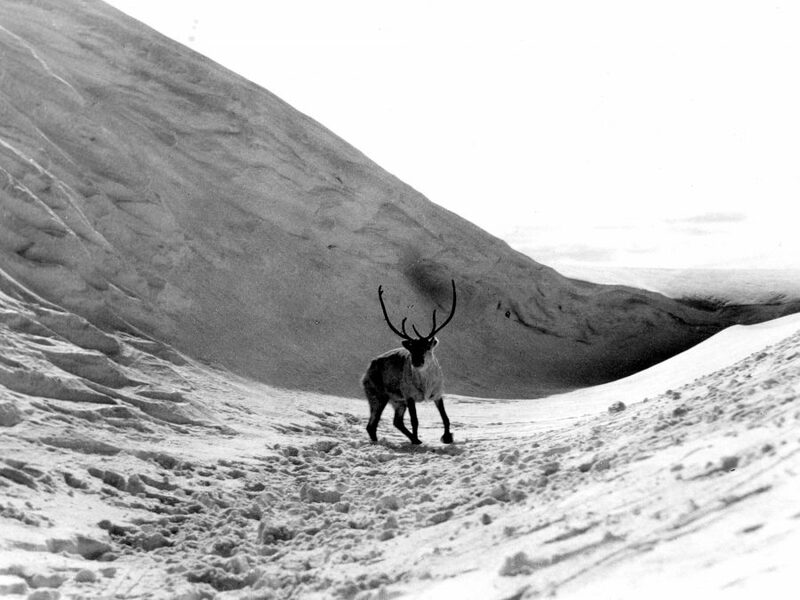 Given that the historic setting is Lapland in the northernmost part of Finland, most viewers too are southerners here, and will be unfamiliar with the particulars of local culture, religion and mythology – ensuring that Erik Blomberg’s The White Reindeer, though as simple in its narrative as it is stark in its snowy locations, comes with a great deal of luminous, numinous mystery. The film begins with a Sámi folk song about a “little girl, child of Lapland, born in a snowdrift… she did not know as a child, nor when she was married, that she was born a witch, evil in her belly.” In fact the song sets out the entire story of Pirita (played by Blomberg’s co-writer and wife Mirjami Kuosmanen), and the film then realises this folk legend at greater length as an ethnographic study of sorts, filled with carefully observed regional practices and rituals. In a village reindeer race, Pirita easily proves the match of Aslak (Kalervo Nissilä), ensuring that their subsequent marriage ought to be a relationship of equals – although we note the dowry, paid to Pirita’s father, that reduces the young woman to a transferrable commodity. With Aslak away for weeks at a time herding reindeer on the fells, Pirita is left at home to her own devices. In an attempt to stave off her boredom and yearning, Pirita visits Tsalkku-Nilla (Arvo Lehesmaa), the village’s drunken shaman. His instructions, combined with her hidden witchy nature, lead her to be transformed into a shapeshifting deer that seduces, and then preys upon, male hunters. Pirita may be a temptress, a vampire and a metamorphic monster, but she is also sympathetic, struggling for empowerment, and a place for her own desires, amid an army of ogling male suitors determined to subdue her. She will eventually be brought down by her own husband, armed as he is with a phallic spear of cold iron. If Pirita’s attacks are sexualised (all her victims are men), the order that is restored to this community is a pointedly masculine one. Yet styled from the very outset as a “child of Lapland”, Pirita represents a primal, pagan animal spirit of the nation (and of a marginalised culture). A feminine spirit resistant to the encroachment of Christianity and of more patriarchal values. The taming of her – an allegory of Sámi history – is as much tragedy as triumph. 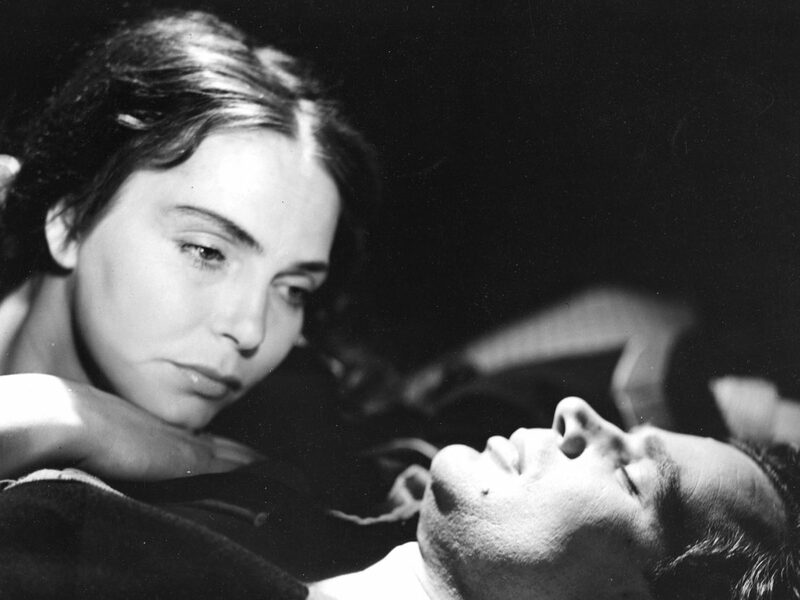 The colour white dominates everything in this brightly-lit monochrome film, conjuring the cinematic purism of Carl Theodor Dreyer. Yet impurities are also allowed to intrude, whether southern influences or adulterous strayings or the stain of murder, disrupting the film’s backward-looking idyll and darkening its lustrous sheen. If there is a certain naïveté to The White Reindeer, that is an intrinsic part of its style, evocative precisely for its plain, archetypal nature. The traces left in the snow by Pirita may be easy to follow but, abstract and enigmatic, they are not, after all, so easy to understand. The White Reindeer is released by Eureka Entertainment as part of The Masters of Cinema Series in a Dual-Format Blu-ray/DVD edition, presented from a new 4K restoration on 8 April.